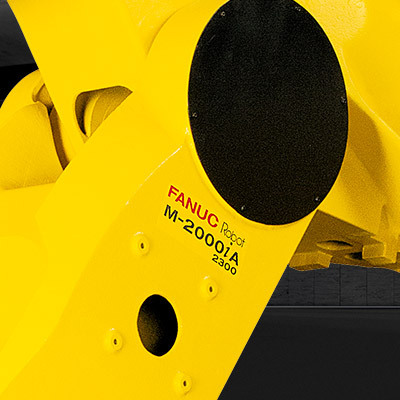 With its enormous 2.3 t payload, the M-2000iA/2300 is the biggest lifter in the range. 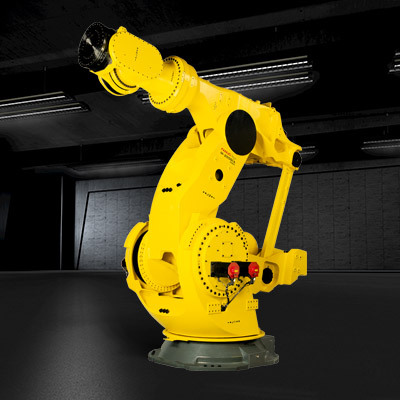 Ideally suited to heavyweight material handling applications that require an even stronger wrist, this machine will easily lift and position an entire car or load bulky set castings onto machine fixtures. The M-2000iA/2300’s super-strong IP67 protected wrist, means it’s capable of lifting and holding an entire car from the side. 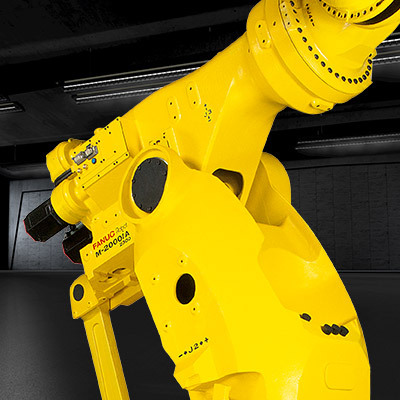 This model’s enhanced lifting capacity makes it great way of adding flexibility to your heavy material handling operations. 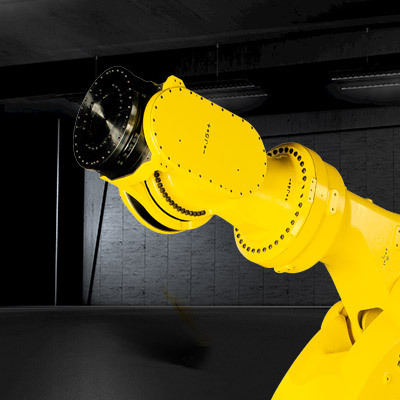 Automating these areas enables you to reduce your running costs, improve cycles times and dramatically lower the risk of damage to production material. 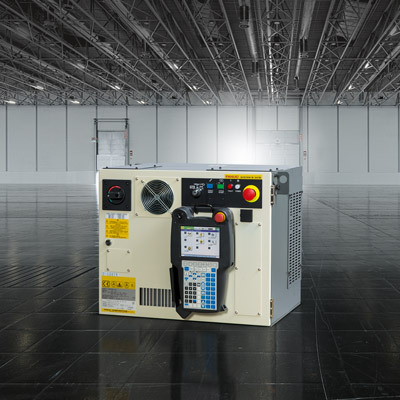 Combining an extensive work envelope with the flexibility of six axes, the M-2000iA/2300 can move and place objects within a large defined work area to an extremely high degree of precision. 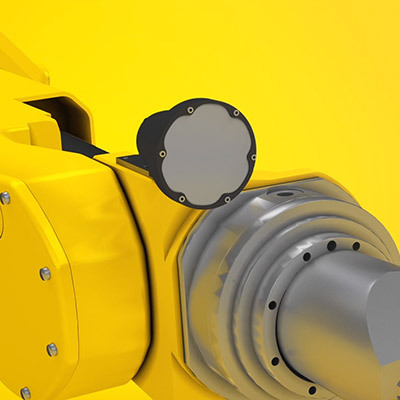 With its huge payload and reach the M-2000iA/2300 can do the work of conventional cranes, lifters and shuttles to increase production and eliminate the need for dangerous manual work. 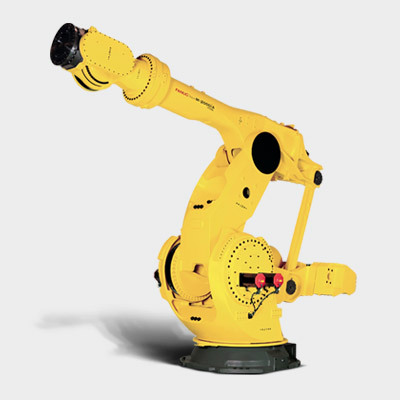 Visual tracking and FANUC's unique plug and play iRVision system enable the robot to identify and handle even the heaviest of objects.